Explore the life of Itzhak Perlman, the famous Jewish violinist, a transcendent performer and polio survivor. Director Alison Chernick’s new documentary provides an intimate, cinéma vérité look at the remarkable life and career of this musician, widely considered the world’s greatest violinist. 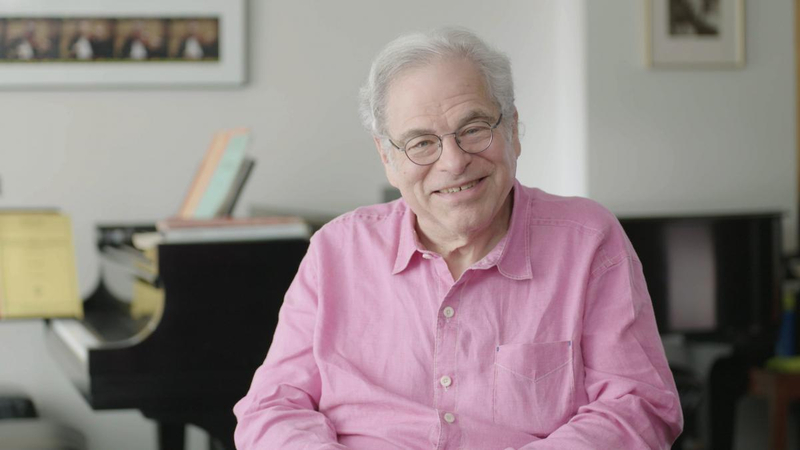 American Masters: Itzhak Perlman airs Friday, January 18, 2019 at 10 p.m. on WXXI-TV. From Schubert to Strauss, Bach to Brahms, Mozart to…Billy Joel, Itzhak Perlman’s violin playing transcends mere performance to evoke the celebrations and struggles of real life. The hour and a half documentary features new interviews with the world-renowned violinist, his family, friends and colleagues including Billy Joel, Alan Alda, pianist Martha Argerich and cellist Mischa Maisky. The hour-and-a-half film looks beyond the 16-time Grammy-winning musician to see the polio survivor whose parents emigrated from Poland to Israel, and the young man who struggled to be taken seriously as a music student when schools saw only his disability. In the film, Perlman’s life story unfolds through conversations with fellow musicians, friends and his wife of 50 years, Toby. The Perlmans dedicate their lives to their large Jewish family in New York City, shared love for music and continual support of young musicians. American Masters: Itzhak is a portrait of musical virtuosity that explores themes of Jewish identity, Jewish history, humor and love. This program is part of Dialogue on Disability, a partnership between WXXI and Al Sigl Community of Agencies designed to stimulate community dialogue about the perspectives and abilities of people with physical and intellectual disabilities. During the week-long initiative, which runs January 14 through January 21, 2019 WXXI presents special programming on TV, radio, and at the Little Theatre. Dialogue on Disability is made possible through support from the Fred L. Emerson Foundation. The partnership between WXXI and Al Sigl Community of Agencies is supported by the Golisano Foundation and Move to Include, a project designed to build a more inclusive community by inspiring and motivating people to embrace different abilities and include all people in every aspect of community life.